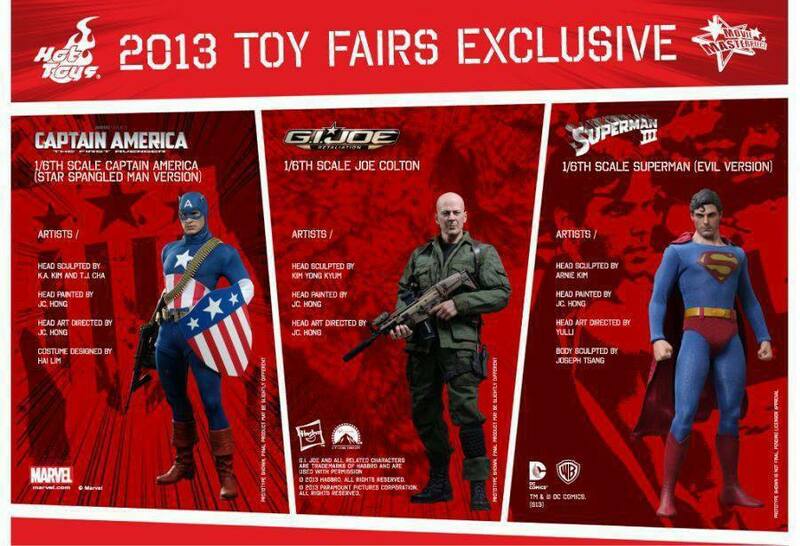 Hot Toys’ Toy Fairs 2013 Exclusives are 1/6 figures of G.I. Joe Retaliation’s Joe Colton, Evil Superman from Superman 3 and Star Spangled Captain America. Evil Superman is a pass for me as well as Cap as i think the Avengers version was better. Joe Colton though is a nice one as i plan to do some Die Hard kitbashes with that Bruce Willis Headsculpt. Infinity Blade II goes free for a limited time!